The Minky is an extremely effective pattern when fry are present. Tag : Green wool or yarn. Body : Hare's mask fur. 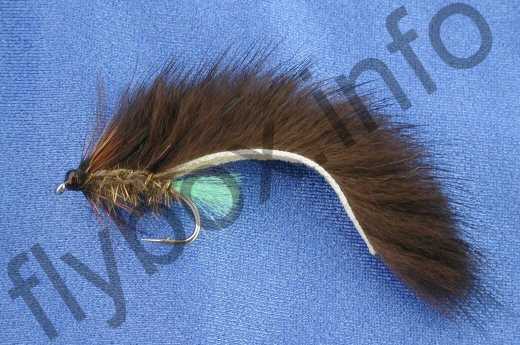 Wing : Strip of mink fur, two or three times the body length. Wing tied in Matuka style. Currently there are no comments about the Minky fly pattern from other fly fishermen yet.